Android Users Can Finally Send ARmoji Now! 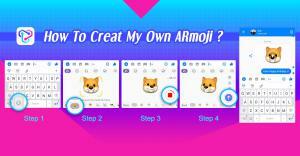 How to create your ARmoji? 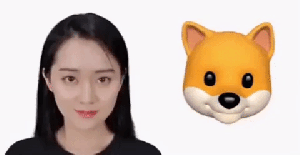 Our real-time 3D face tracking technologies, which allow you to lend your expressions to a dozen or so emoji with ARmoji. SAN FRANCISCO, CALIFORNIA, USA, July 5, 2018 /EINPresswire.com/ -- A talking dog, a winking bear and a smiling frog, all of the AR animated emojis have launched. When you speak, change your eyes expression, or shake your head, the ARmoji will do the exact same. But most of all, it is very easy to share. Once you’ve created your ARmoji, it can be saved as videos in your album or directly accessible from Typany Keyboard inside any apps. We use real-time 3D face tracking technologies for motion capture and controlling 3D digital character's facial expressions or mapping animated avatars on user's face. We believe that anyone can create a lifelike avatar say and do whatever they please. Other than messaging, ARmoji can be used widely. Sing a song for your friends, give a kiss to your lover or even create a short movie. Anyone with Android phones can create their own ARmoji, and you can experience it perfectly on almost any device. Animoji Feature For Android Users! - Try ARmoji Now!